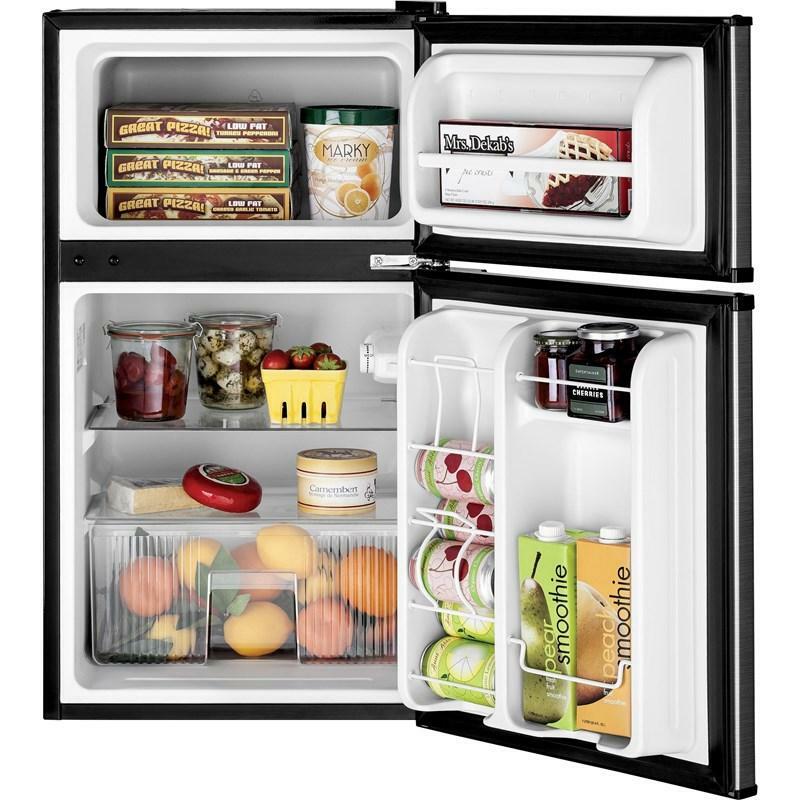 This GE compact refrigerator features a separate true-freezer compartment, interior lighting and a clear crisper. Total 3.1 cu. ft. / 0.09 cu. 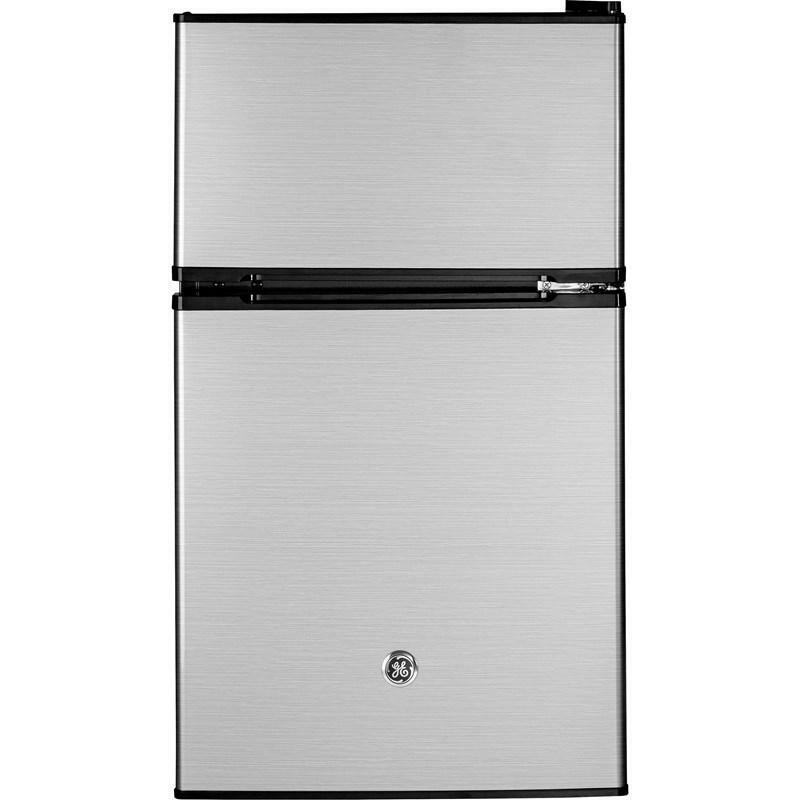 m.
Refrigerator 2.15 cu. ft. / 0.06 cu. m.
Freezer 0.95 cu. ft. / 0.03 cu. 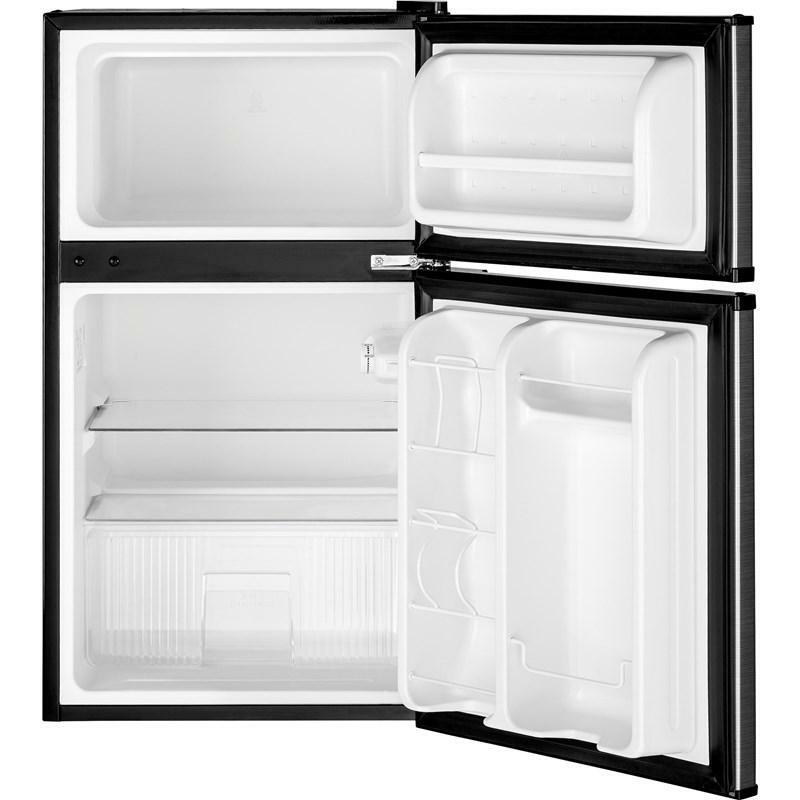 m.
Additional Dimensions • Case depth without door: 17-1/2"
• Depth with door open 90 degrees: 37"
• Height to top of case: 32"
Elliott Appliance is located in Ardmore and proudly serving the state of Oklahoma. We showcase a variety of refrigerators, dishwashers, ranges, cooktops, wall ovens, washers, dryers, and more. 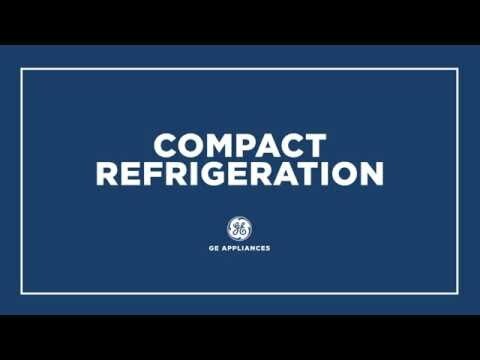 We carry major brands such as GE Appliance, GE Cafe, GE Profile, Haier, Hotpoint, and more. © 2019 Elliott Appliance and Repair All Right Reserved.